Product prices and availability are accurate as of 2019-04-09 20:59:04 EDT and are subject to change. Any price and availability information displayed on http://www.amazon.com/ at the time of purchase will apply to the purchase of this product. 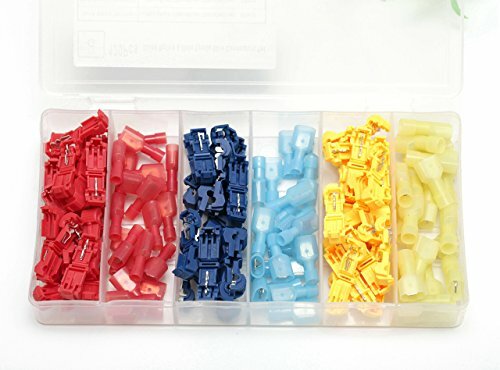 Red: AWG:22-18; Wire range: 0.5-1.5mm²; Max current:10A; Length:3.5cm/1.4"
Blue: AWG:18-14; Wire range: 1.5-2.5mm²; Max current:15A; Length:3.5cm/1.4"
Yellow:AWG:12-10; Wire range: 2.5-4.0mm²; Max current:24A; Length:3.7cm/1.46"
Easy identification-Color-coded tubing makes it easy to identify the right size of the connector for every application. 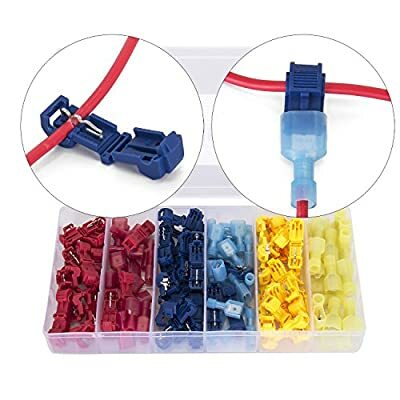 Use these Self-Stripping Electrical Tap Connectors to electrically tap into a wire in mid-span without cutting or stripping the wire. 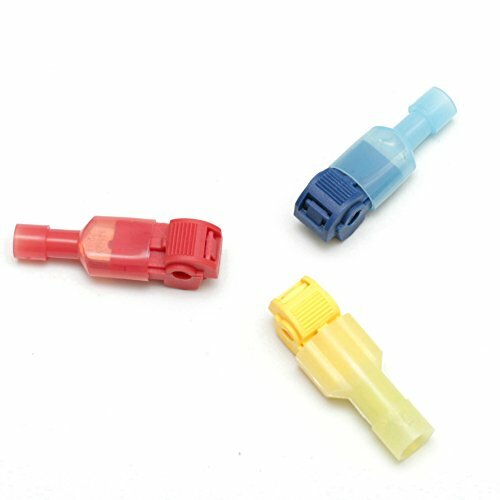 Use with the male quick disconnect for easy safe splicing into wires. Prevents the wire from shorting out. 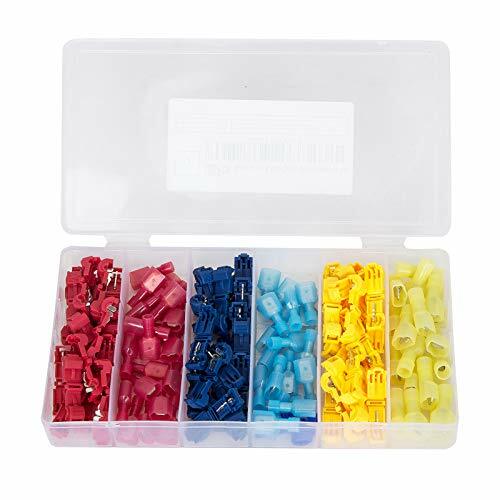 Package Included: 60 X T-Tap Wire Terminals + 60 X Male Spade Connector. With a Plastic Storage Cace.